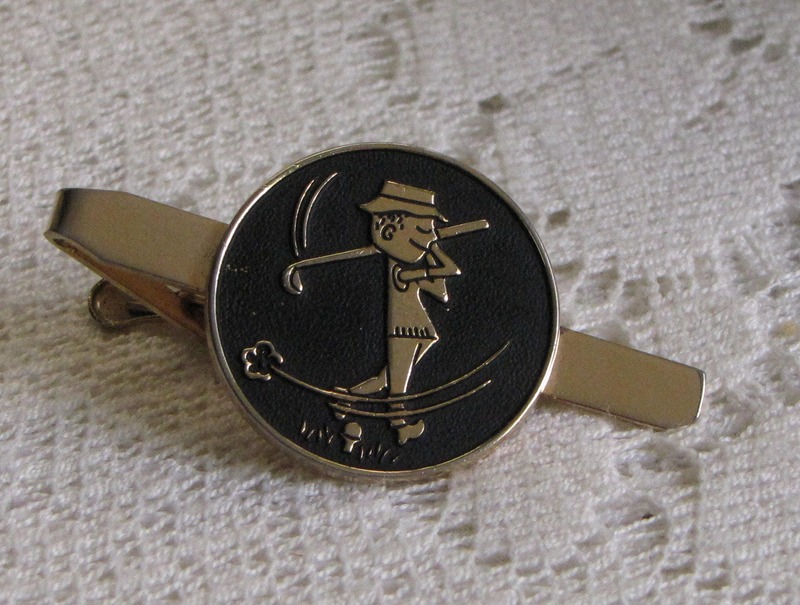 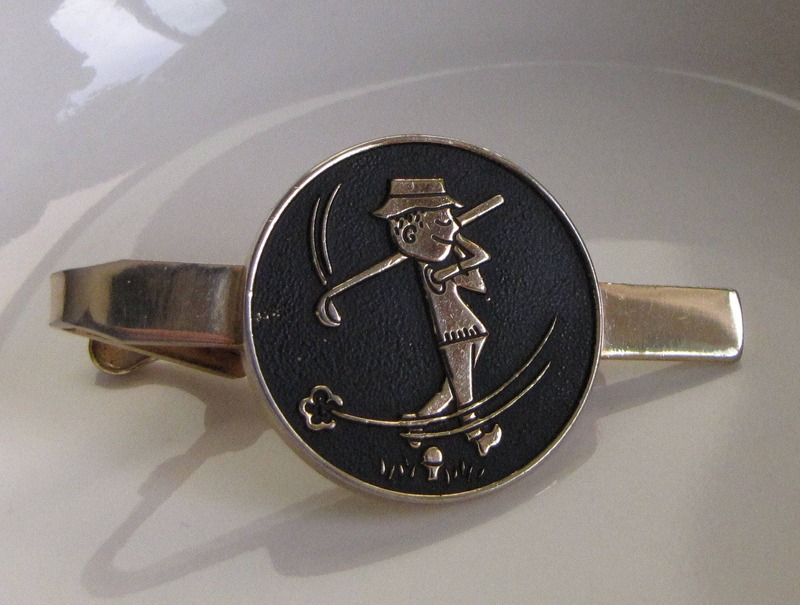 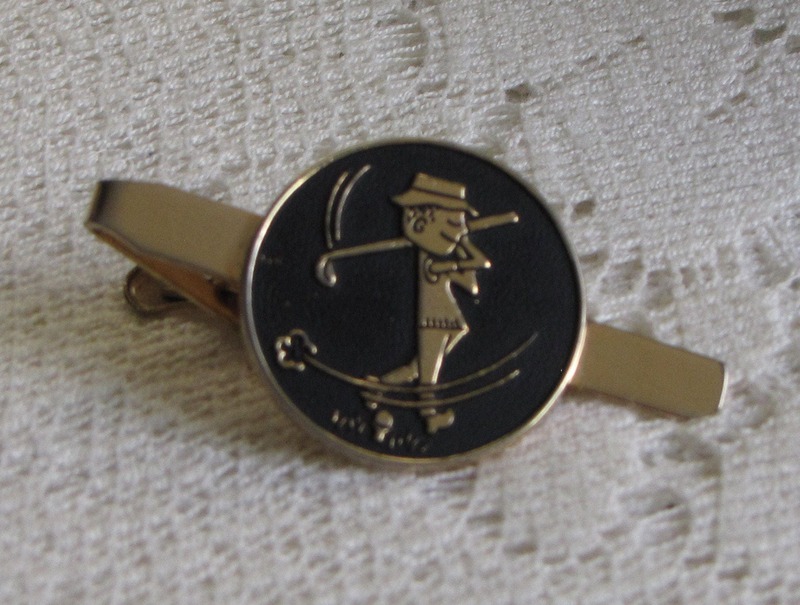 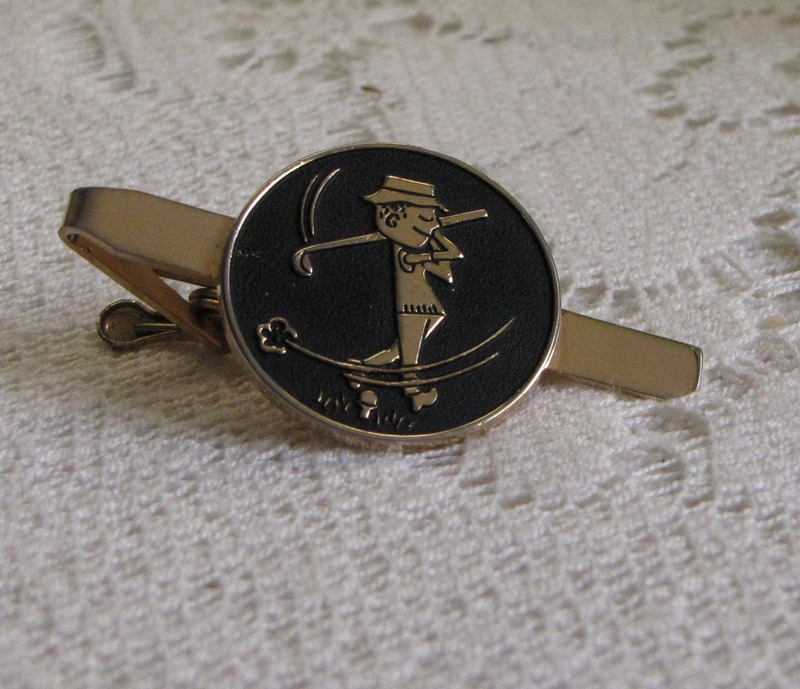 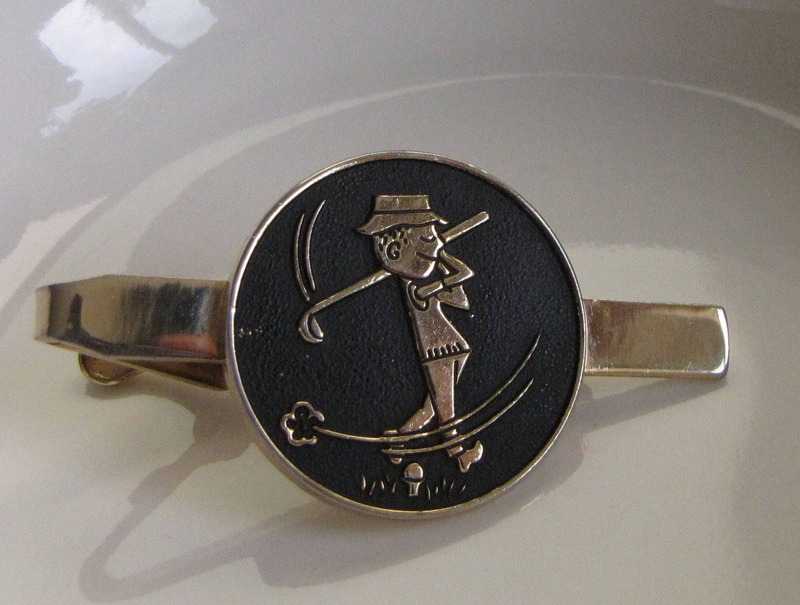 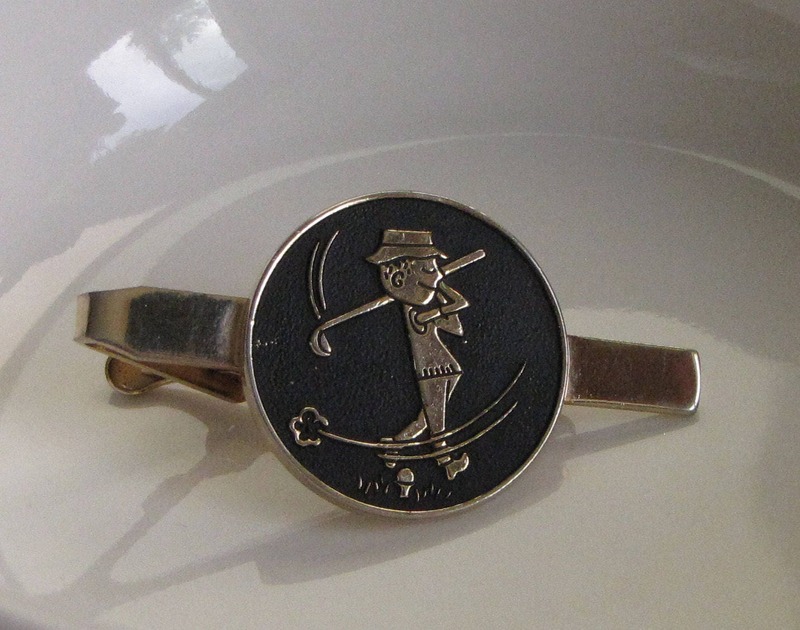 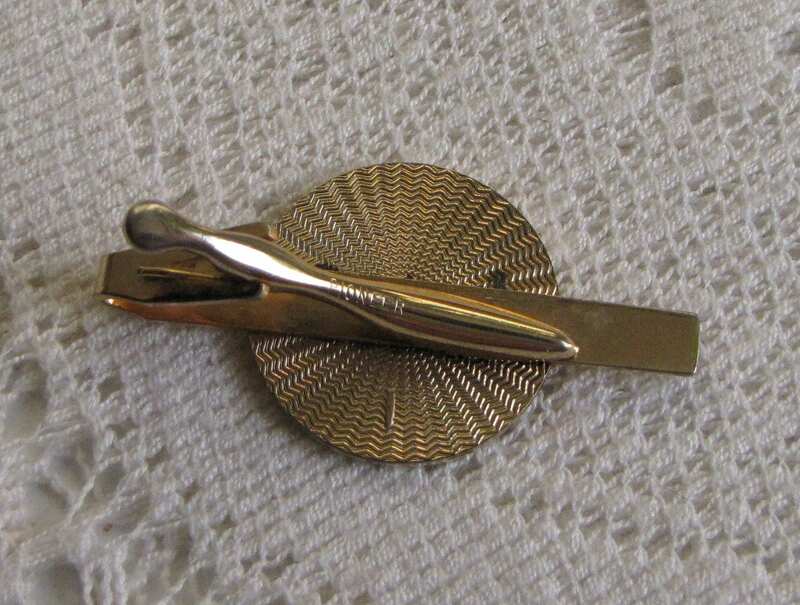 A Pioneer brand golfer tie clip that is in good vintage condition. 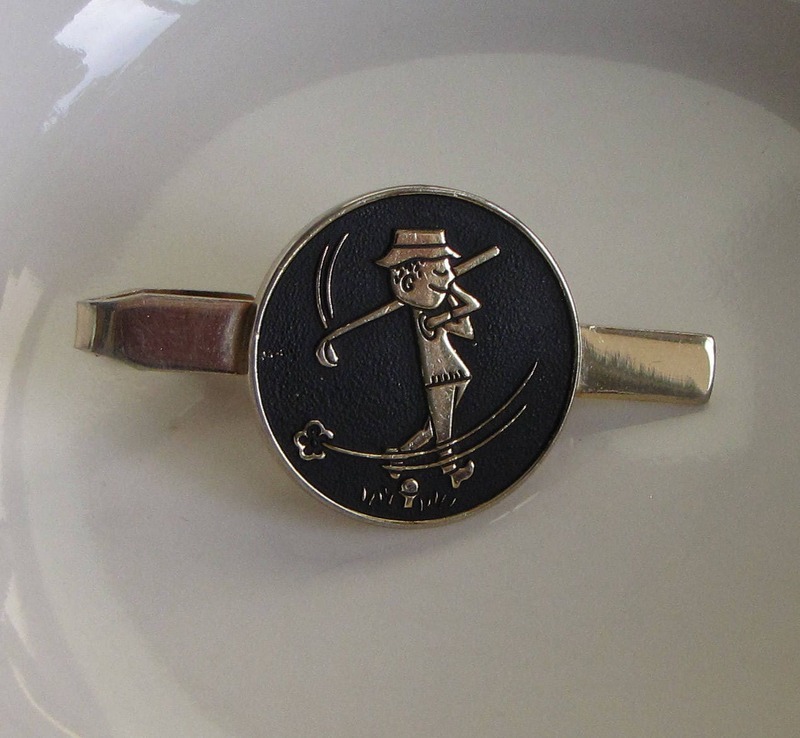 The clip is good; there are signs of wear and use on the gold toned base metal and within the pendant (golfer) piece. 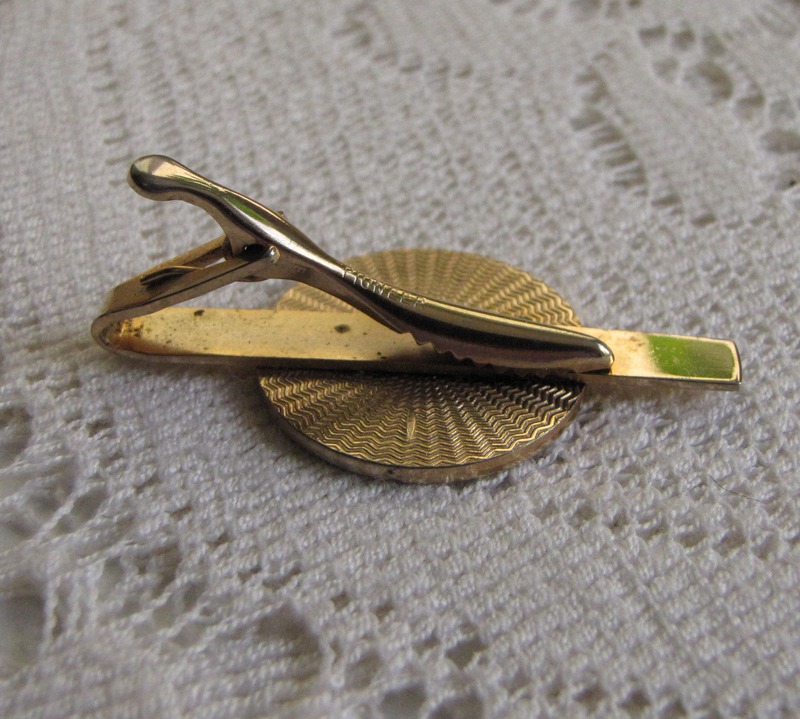 The tie clip measures just under 2 inches long and 1 inch in diameter.